I read The Gospel of Loki a couple of years ago and it was one of those books that really grew on me. It stuck with me long after I finished the last page and I really think that it ignited my interest in Norse mythology. I had assumed it would be a standalone novel, so you can imagine my delight when I saw it was getting a sequel. Asgard fell, centuries ago, and the old gods have been defeated. Some are dead, while others have been consigned to eternal torment in the netherworld – among them, the legendary trickster, Loki. A god who betrayed every side and still lost everything, who has lain forgotten as time passed and the world of humans moved on to new beliefs, new idol and new deities . . . But now mankind dreams of the Norse Gods once again, the river Dream is but a stone’s throw from their dark prison, and Loki is the first to escape into a new reality. So the first thing of note is that this can easily be read as a standalone. I suppose you don’t really need to read the first if you have a good knowledge of Norse mythology (the Thor films don’t count, y’all). However I’d highly recommend you do read The Gospel of Loki first because 1) it is fantastic and 2) you’ll have a better grasp on the voices Harris gives to her characters and the various backgrounds and events that come into play in The Testament of Loki. The second thing to note is that Testament is a very different book from its predecessor. Rather than a more traditional setting for Norse mythology, this book is takes place in our modern world. Harris pulls this off incredibly well, however it might come as a bit of a surprise for the unprepared. Harris has a gift for writing witty, humorous dialogue, so what better character to channel her creativity than Loki? I absolutely adored her portrayal of him in Gospel and was pleased to see that he was just as witty, ridiculous, and fabulous in Testament. The only difference in his character is a good one: he actually gets to interact with mortals in Testament. I loved his interactions with Jumps and the other mortals he meets. Is this review short and vague? You bet it is! But I think that one of the reasons I enjoyed this book so much is that I didn’t know much going in. So what can you expect in The Testament of Loki? Pizza, cake, self-care, a fluffy white dog, f/f relationships, gods and monsters, chocolate, and a whole lot of fabulousness. Fun and silly, yet heartwarming and meaningful, this is the kind of book that you can tell the author had so much fun writing. I devoured The Testament of Loki in a few sittings and absolutely adored it. Popping in a quick content warning for self-harm and a couple brief mentions about eating disorders. Have you read The Testament of Loki or The Gospel of Loki? 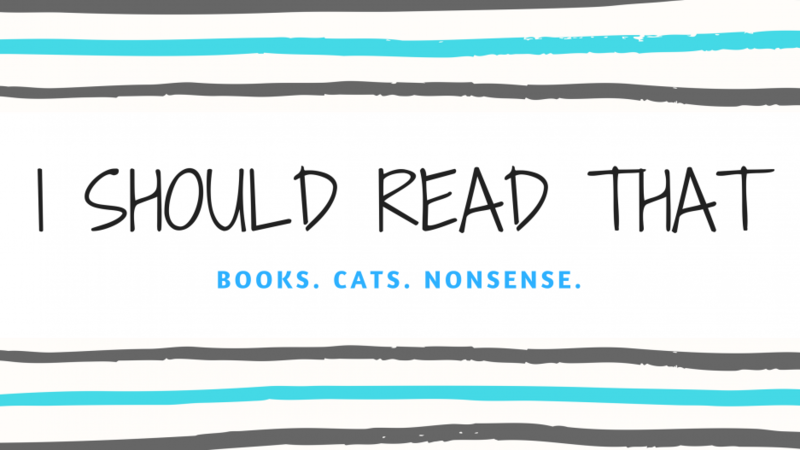 Are either in your TBR? Let me know!